E.g. make an abbreviation “myname” to insert your name “First Middle Last” in any application. • Insert images and formatted text. • Capitalize new sentences. Correct double capitals. 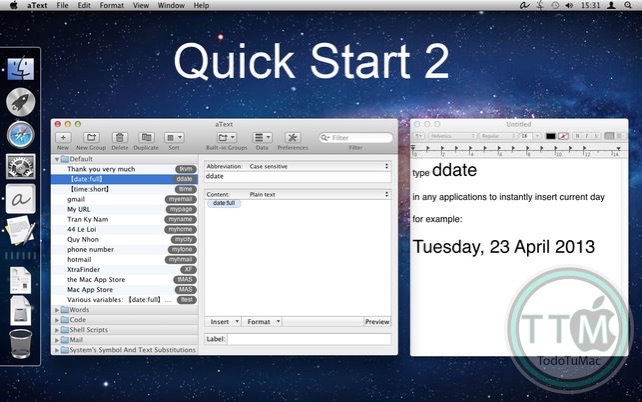 • Insert the current date and time in any format. Insert day in the future or the past, for example: next Sunday, previous Monday. • Embed clipboard content in snippet, embed another snippet, use editable fields in snippet, send any key (such as Esc, Tab, Enter, arrow keys, etc). • Reposition the cursor in the expanded snippet. • Invoke AppleScripts and Shell Scripts. 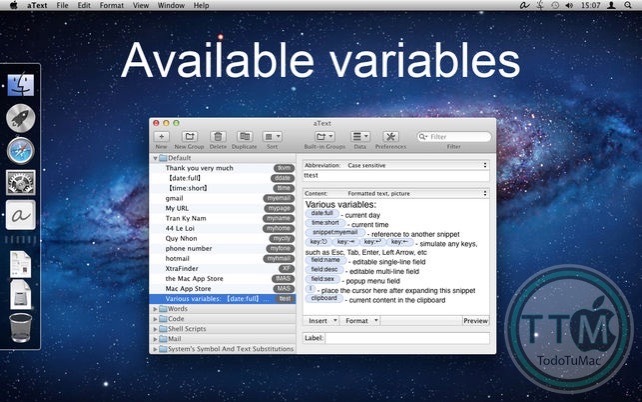 • Import data from TextExpander, TypeIt4Me, SpellCatcherX, CSV file. • Sync via iCloud/Dropbox/Google Drive/SkyDrive. • Fixed a crash when editing caused by embedded snippet which has label. • Improved compatibility sending single image. 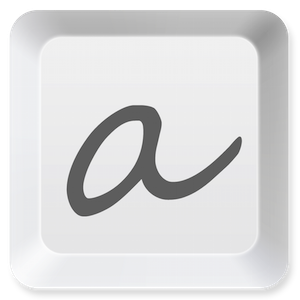 • aText now works on OS X 10.6 Snow Leopard again.